Ivanka: Don't Compare My Email Scandal To Hillary's - Joe.My.God. 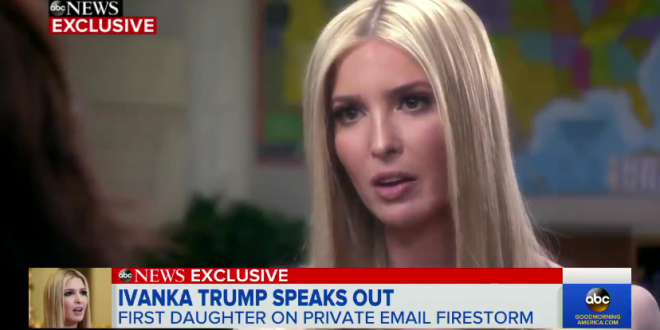 Ivanka, who worked with her father on a campaign that saw him threaten to put Hillary Clinton in jail for using a private email server, has been using a private email server to discuss official White House matters. EXCLUSIVE: Ivanka Trump insists that “there’s no connection between” her situation and Hillary Clinton’s email scandal.